Summer is here and that means it's time to start grilling! 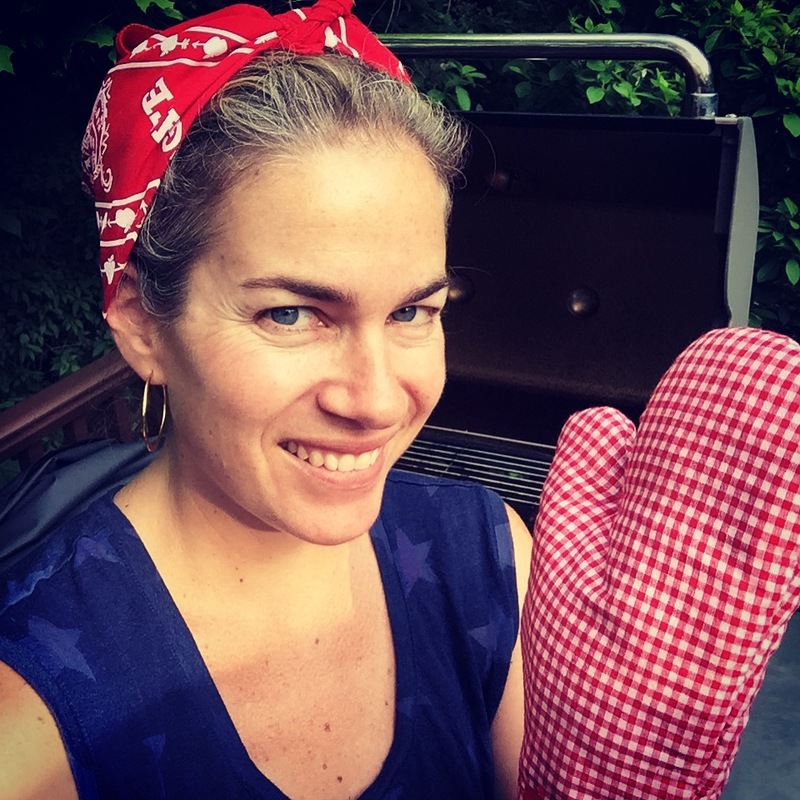 As a born and bred city girl, I never did a lot of barbecuing—but now that I'm a suburbanite who just built a new deck on my house, I'm all about the ease (and tastiness) of grilled meals. So, when Applegate asked me if they could send me a #GirlsWhoGrill pack, I jumped on the opportunity! Even better: one of our readers (U.S. only, sorry!) will win the same pack. Believe me, you want all of this awesomeness. 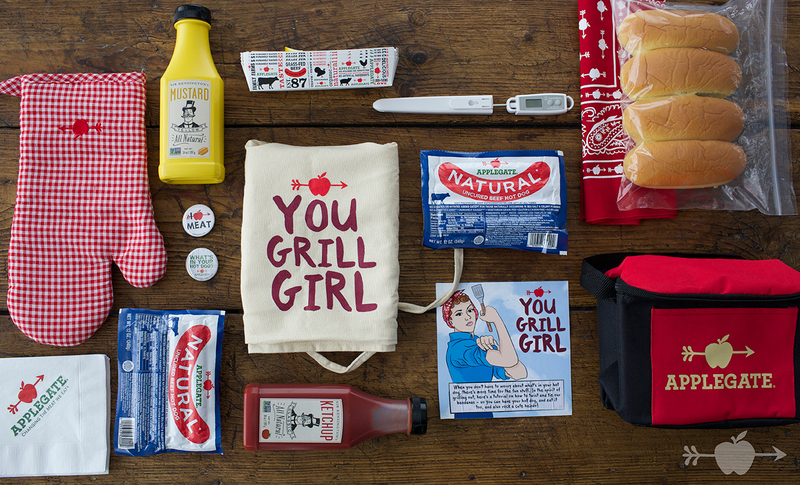 Not only will you get 100% grass-fed beef hot dogs, you'll get fabulous buns, condiments, and barbecue accessories. Including a super cute bandanna and a tutorial on how to tie it, Rosie the Riveter-style. It's easier than you think! Now that I had all these yummy uncured hot dogs (made with just four ingredients: beef, water, salt and spices), what to do with them? First thing I made was a New York-style dog, with tangy, raw sauerkraut and those street-cart onions in sauce. And, of course, lots of mustard. Classic. Next, I made a deconstructed guacamole hot dog, topped with diced avocado, minced red onion, a bunch of Tabasco, and a generous squeeze of fresh lime juice. Tastes like summer, I tell ya! I really can't believe you kicked it up with a guac dog!!!! Celery salt and ketchup - yum! I like chili and cheese in the winter, but in the summer I prefer relish and mayo. 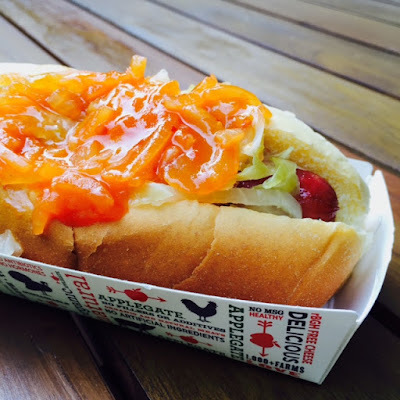 I am a mayo hound, but it never occurred to me to try it on a hot dog! Ketchup is my favorite hot dog topping! My favorites are mustard and pickles. I like relish, mustard and ketchup on hot dogs. My favorite hot dog toppings are mayo, ketchup and relish. My favorite topping is mustard. I love a plain hot dog, but if I had to choose a topping it would be melted cheese. Normally mustard, but your deconstructed guacamole hotdogs sound really good! Chili with cheddar cheese and chopped red onions. i love relish and American cheese on my dogs! My favorite hotdog topping is just Ketchup. I love chili , onions and cheese on my hot dogs! It used to be nacho cheese and mustard... Until I read about your deconstructed guacamole hot dog!!! Yummy!!! I like just ketchup or I'm always down for a chili dog with cheddar cheese and red onion on top! I have to try the deconstructed guac dog - YUM! This looks delicious! I just ate but wish I could try your hot dog now! Pinned and shared! mustard is my favorite hotdog topping.